Inside: Sudoku with a difference – four fun Easter Sudoku puzzles with Easter eggs instead of numbers. Our recently turned 11 year old loves Sudoku puzzles. She’s so good at them. And they are so good for her – developing problem solving and logical thinking skills, as well as visual perception and ability to spot patterns. 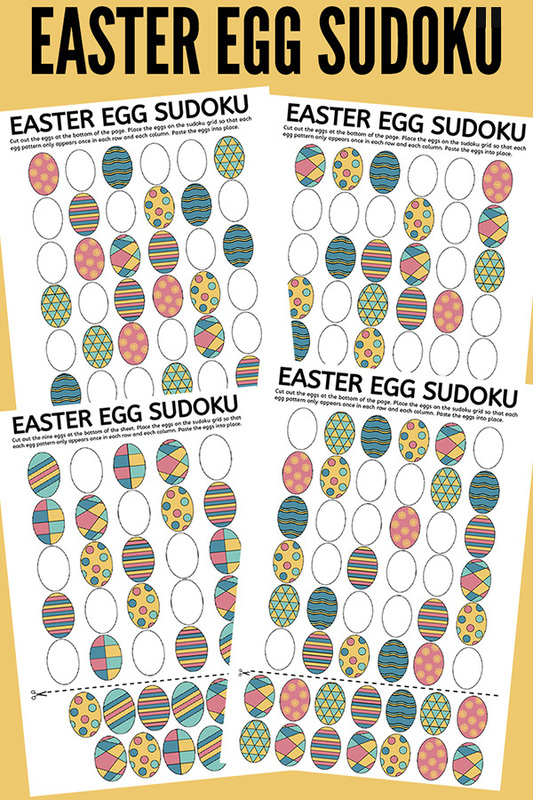 Her love of Sudoku led me to the idea of developing a sudoku puzzle with a difference – just in time for Easter, these sudoku use patterned Easter eggs in the place of numbers! They make a fun visual problem solving activity to engage school aged kids in the lead up to the holiday. RELATED: Looking for more problem solving for school aged kids? Check out our free, printable Easter Word Puzzle. Click here to download: Easter Sudoku. Save the PDF to your computer. Open the PDF and print the pages you require. When printing, select “Fit to printable area” (or similar) to ensure the page fits with your printer type and local paper size (these have been created at A4 size).